This walking tour will take you over streets, buildings and people, through the expat paradise that is Soho, and into the upper reaches of Mid-levels, almost without touching the ground. Yes, this is The Escalator Tour. 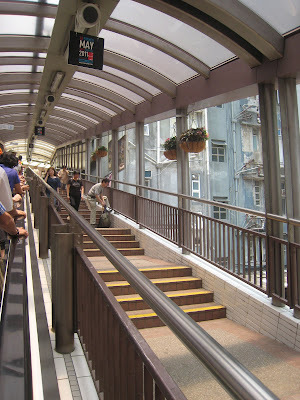 At over 800 meters, the Central-Mid-levels escalator is the longest covered escalator system in the world. 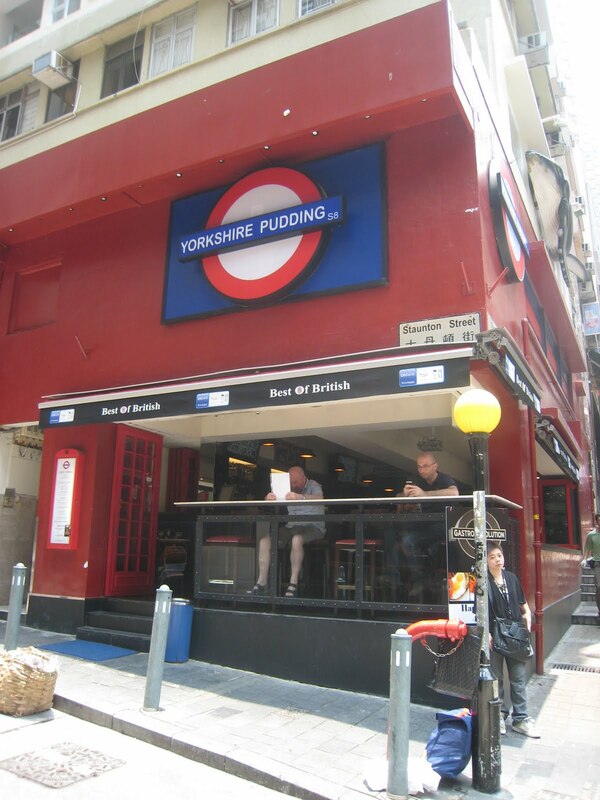 Be sure to check out the tab above for more Hong Kong walking tours. Start out in the Central Oasis, not far from Hong Kong station. 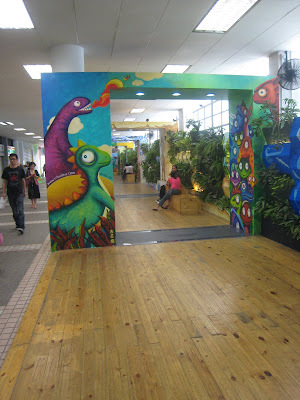 Get a few pictures of the fun designs on your way out into the sunshine. We're still waiting to see what this structure will look like when it is fully developed. 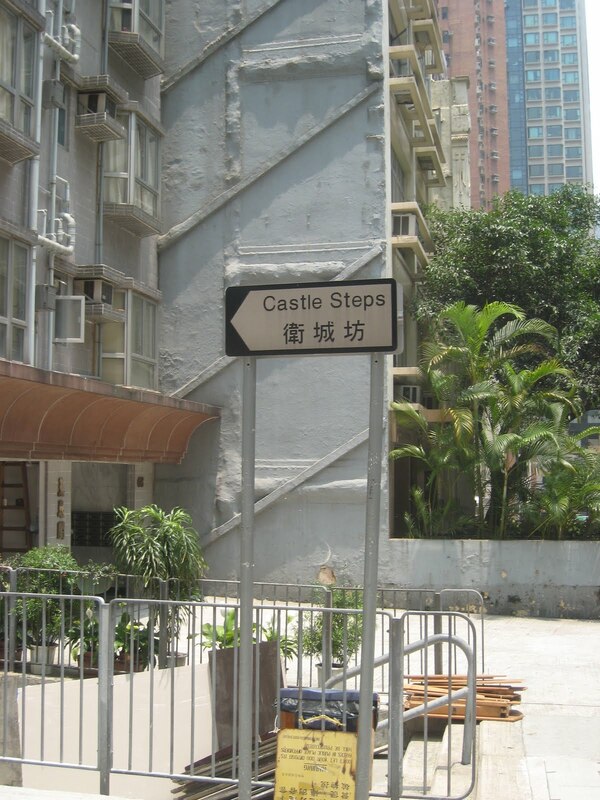 ...it'll take you right over Queen's Road Central. 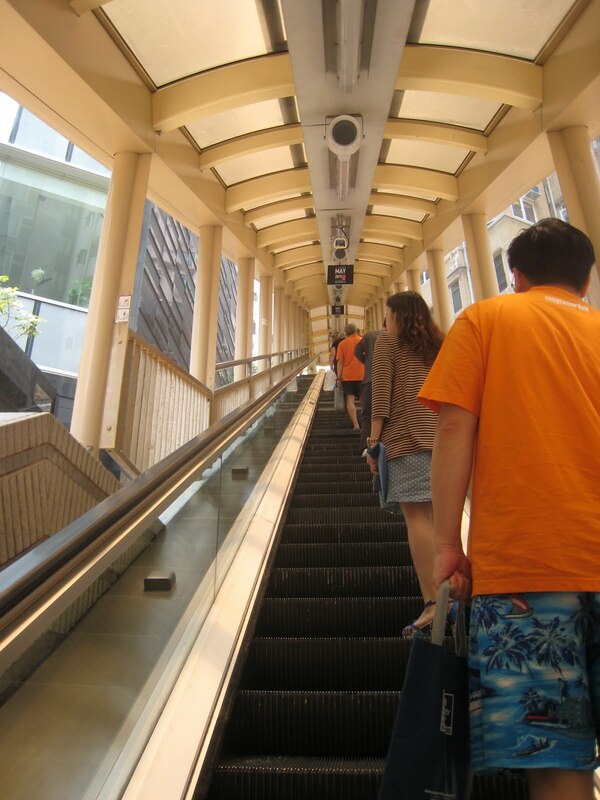 Start your journey up the escalator. The only real instructions for this walking tour are to keep going straight. Watch the little shops and restaurants go by in case you want to come back. The escalator is divided into manageable lengths, so you'll have to walk every once in a while. But you can always stop for a foot massage along the way. Sometimes you'll catch glimpses of greenery. You'll see other colors, too. 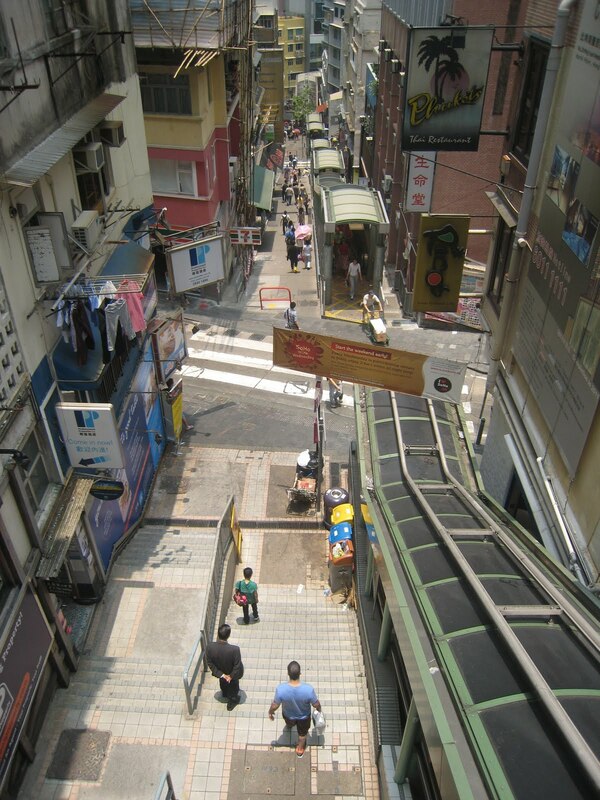 Every part of the city looks a little different, and the escalator carries you past all sorts of scenes. There are staircases every so often if you need to stop. There are maps if you get lost. From the escalator you have a great view of Flow Organic Bookshop. If you stop here it will be %100 worth the detour. But it will also be great if you keep going up. 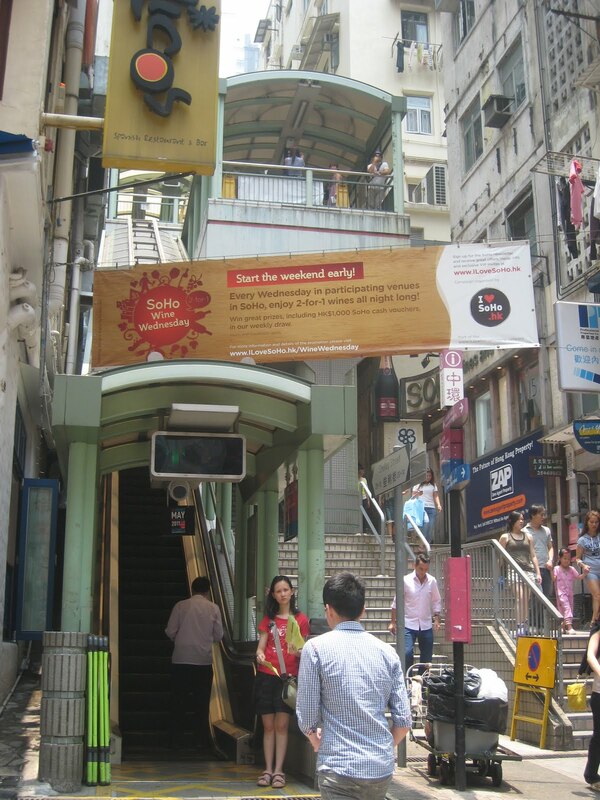 When you reach Hollywood Road, the Escalator will make a right turn along the road. 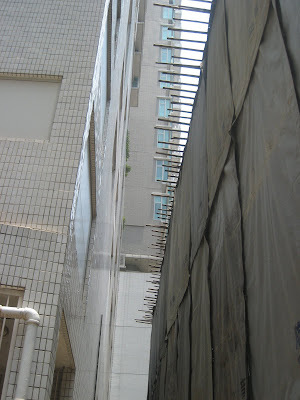 You'll have a great view of the old Hong Kong Police Complex here. 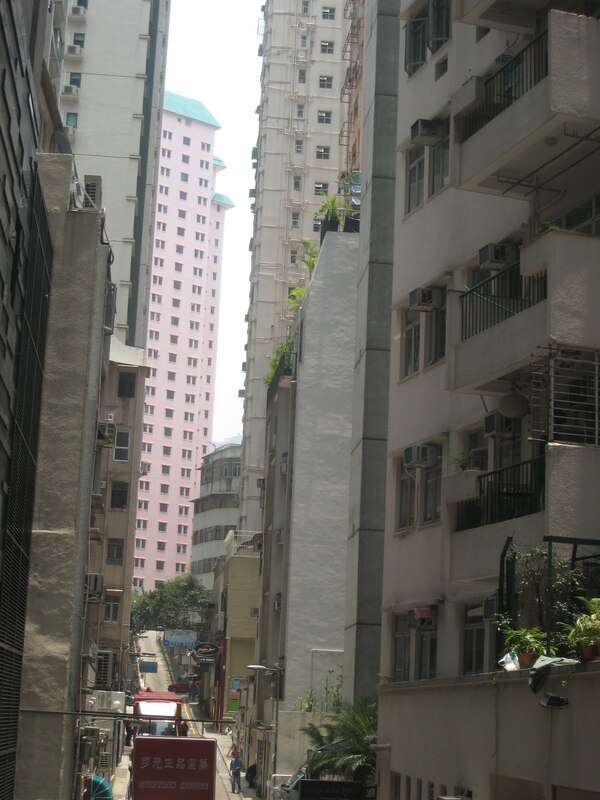 Walk over the straight stretch above Hollywood Road. Get ready to turn left. ...and you could even live here. 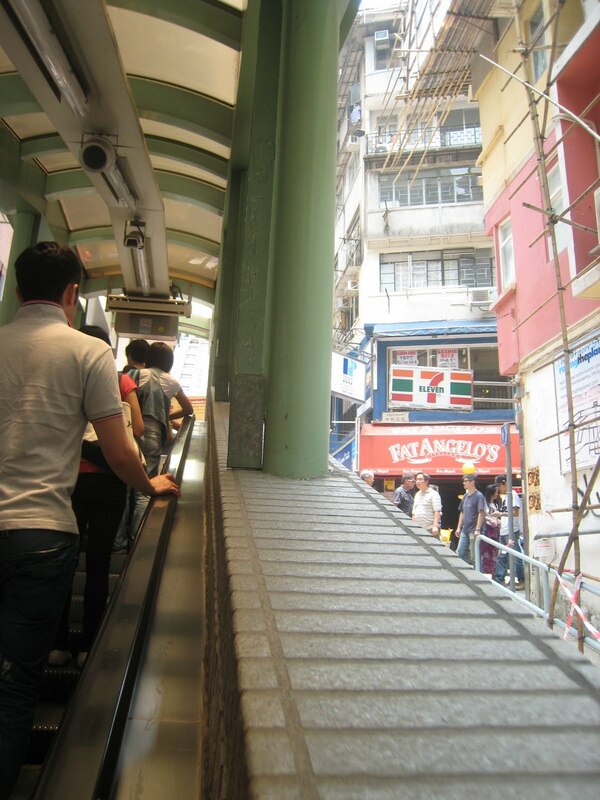 Start up the next section of the Escalator, and start watching out for the restaurants! 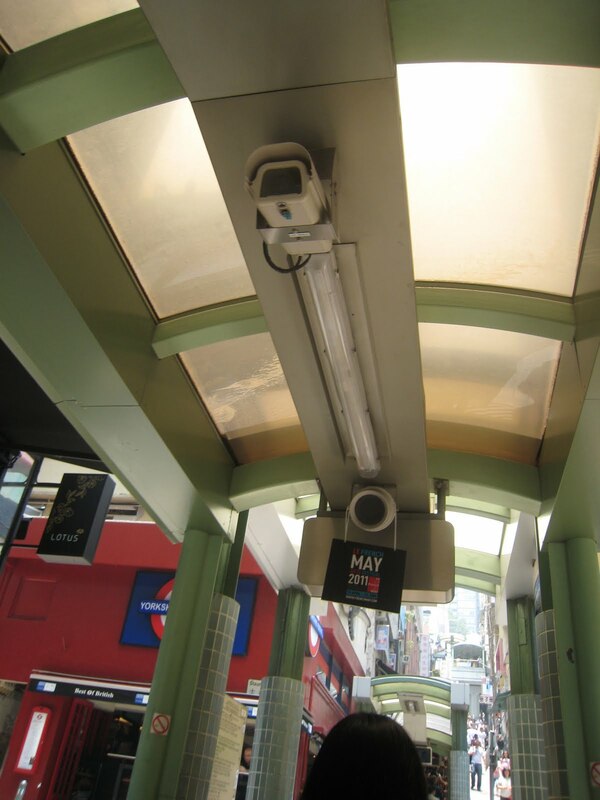 People will be watching you, too. ...and then keep going up. ...and you'll keep going up. 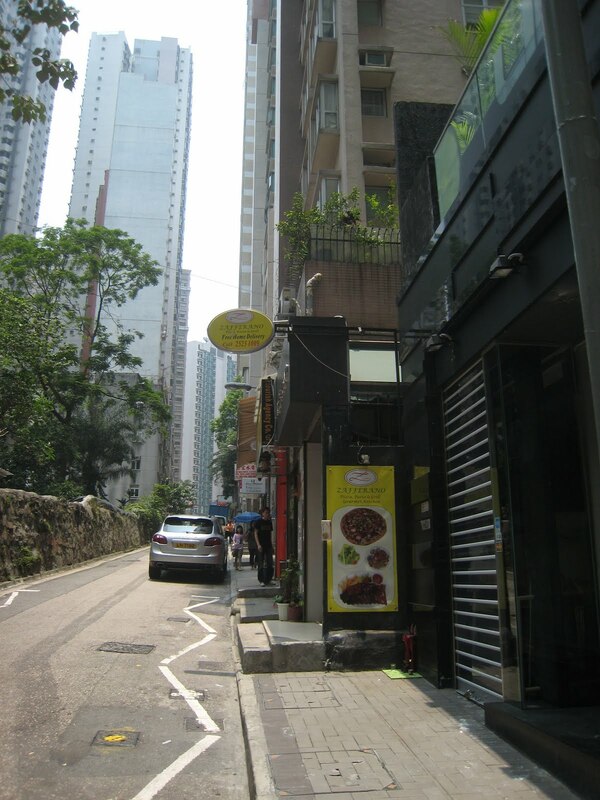 This is Elgin Street, the place to go for food from around the world. If you don't get distracted on Elgin Street, you can keep going up. ...but you'll keep going up. Stop and look back at Soho as you climb into Mid-levels. It gets quieter up here. And the escalator keeps going up. 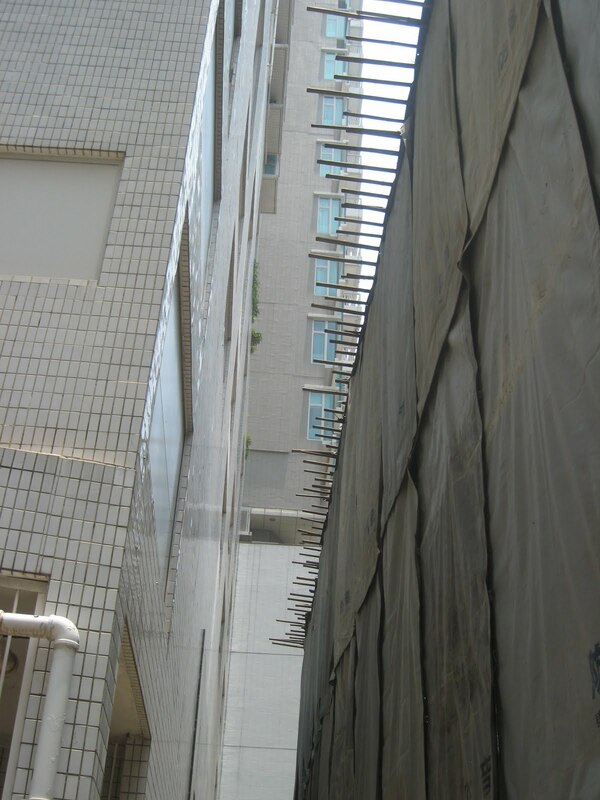 You'll see the less glamorous sides of Hong Kong life. 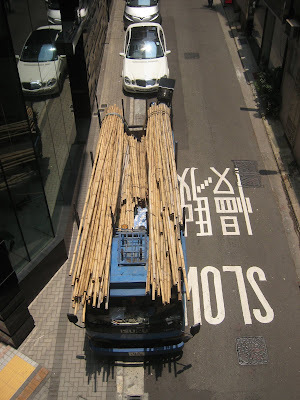 You'll be above the streets again. 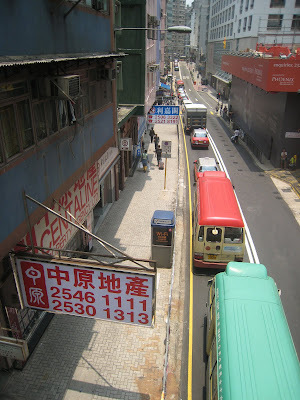 This one is Caine Road. And this one is Robinson Road. Stop to look at the map if you think you're lost. Look down to your left at the little alleys between buildings. Look down to your right at the little shops. 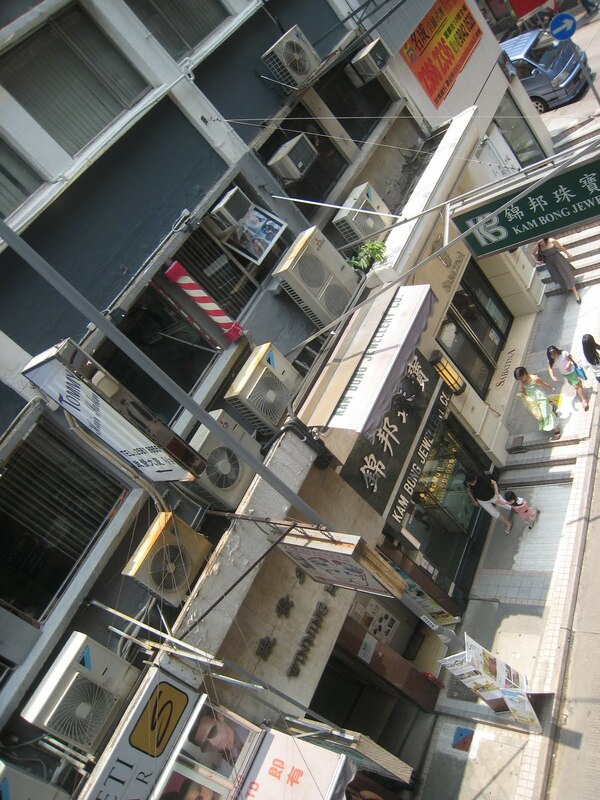 You might see an unexpected pocket of quiet in this busy city. This area is primarily residential. 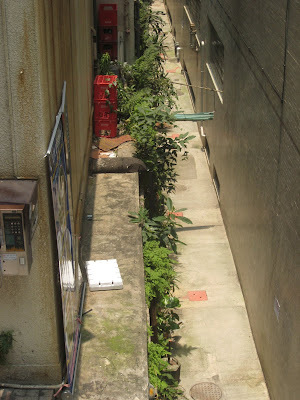 It is an unexpectedly charming and peaceful part of the city. At this point in my tour I realized I had never come this far on the escalator before. I found an ornate mosque. There's even a cafe dedicated to my home city! There will be a break or two, but there's still more escalator to see. 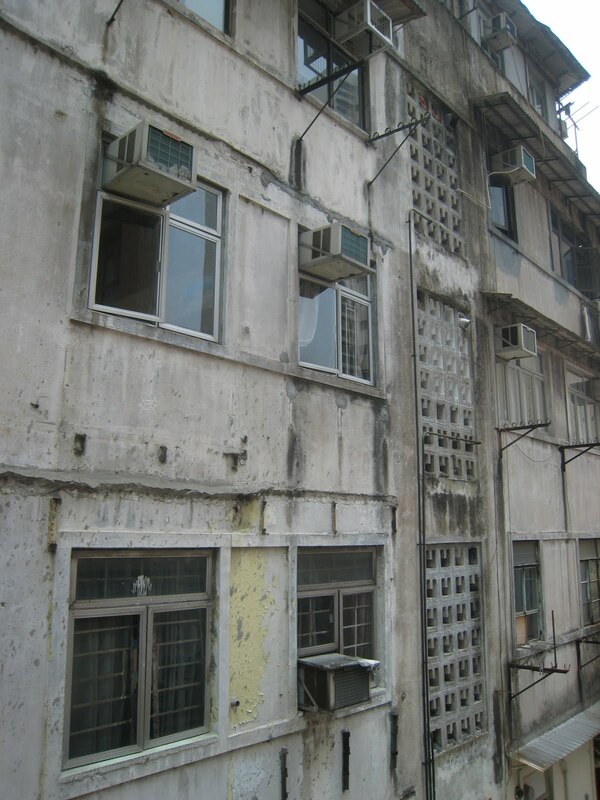 I wondered what the stories were behind the walls and windows. Occasionally take a look behind you. It's amazing that there are so many tall buildings this far up the side of the Peak. And there's more to see as you continue through Mid-levels. Sometimes you'll need to climb a few steps. Take a look to your right. I thought this was the home stretch. But turn a corner and you'll keep going up. ...so just keep going up. ...the escalator comes to an anti-climatic finish. 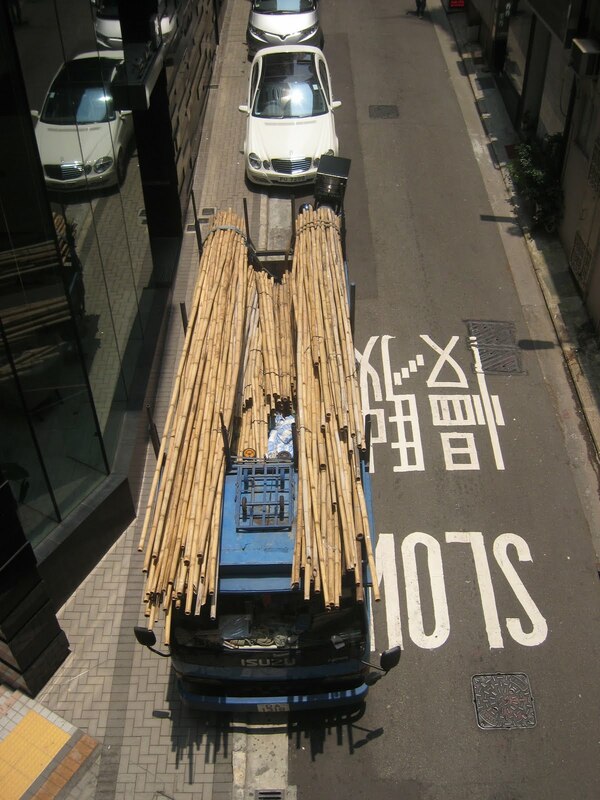 You could take a taxi back down to sea-level from here. Or continue on into the upper reaches of Mid-levels. Finish up with some good international food because your journey has come to an end. Thanks for joining me again for a Hong Kong walking tour. 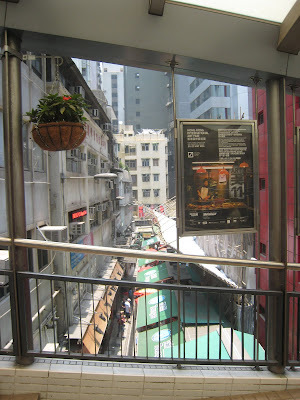 What part of HK do you want to see next? Something touristy? Something local? Something crowded? Something strange? I have a Kowloon-side tour lined up, but there's a lot more to see here. Just let me know! Phew! I'm tired from just scrolling down the page!! 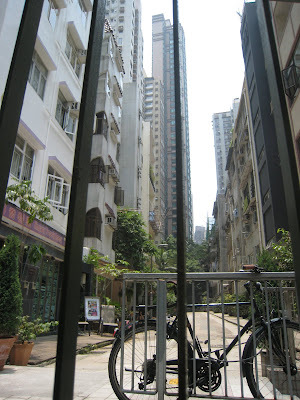 :) This is a lovely idea - I look forward to seeing more of Hong Kong through your eyes! I invite you to follow TOGB. BTW, your photos are great! Wow, this really brought back memories! 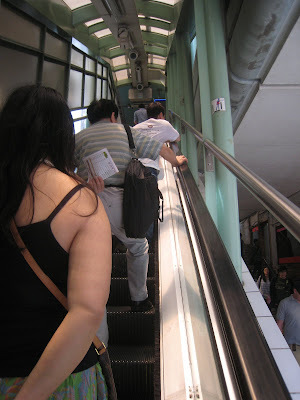 I remember pre-escalators and then after they first opened. And of course how they were immortalized in Wong Kar-wai's film, Chungking Express. Your photos are fabulous. 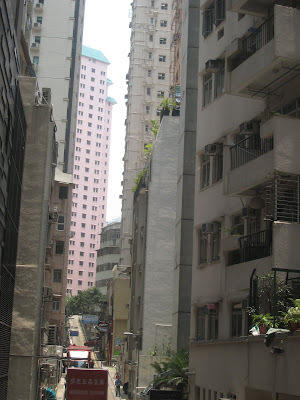 Since you're taking suggestions, one of my favorite walks was through Kowloon Tong. There are some quaint side streets with beautiful colonial homes. 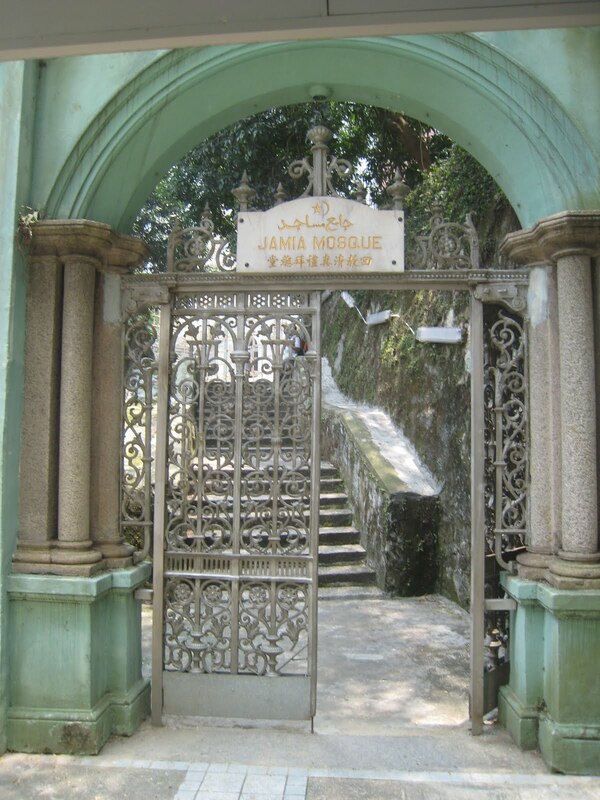 I also enjoyed walking through neighboring Kadoorie Hill on my way to work. Thanks for your encouraging comments everyone! I am glad you are enjoying the walking tours. Susan, I think that's a great idea. 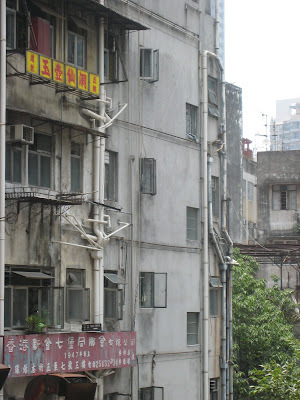 I haven't spent much time in Kowloon Tong so I don't even know where to find the colonial homes if they are still there, but I'll see what I can do! Enjoyed looking at the pictures along the escalator. Was there two years ago but did not complete the journey. 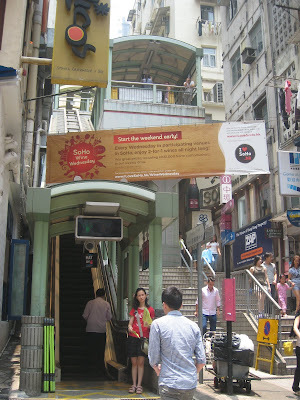 Got off after five minutes but I intend to go all the way when I next visit Hong Kong. How long does the entire journey take?